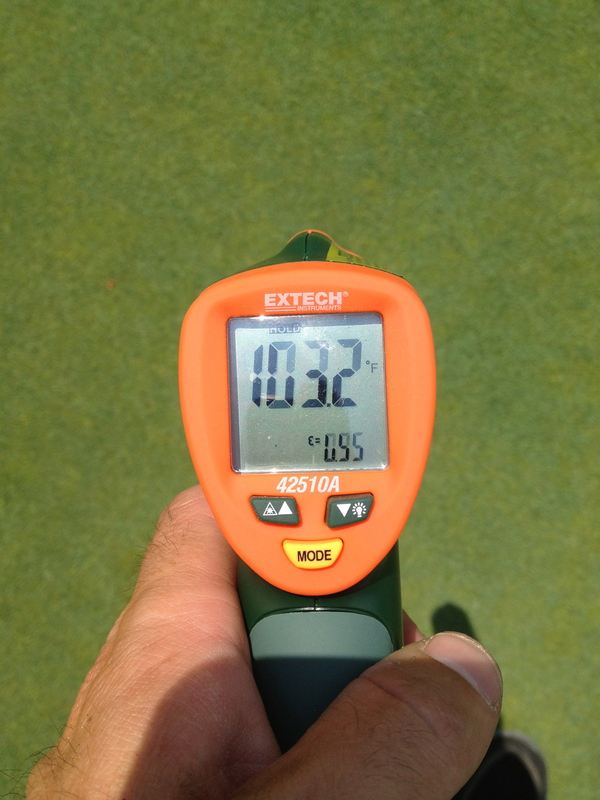 The staff does not spend any longer than 3 minutes on a green surface. If you happen to be waiting to hit your approach, please wait just a few seconds longer to avoid hitting into them. They are paying attention to you, but they are diligently working to keep the green surfaces alive and playing well. Thank you for your understanding and patience. See you on the course! Categories: A Word from the Superintendent..., On the Course | Tags: golf, greens, stowacresturf, syringing, turf | Permalink. Yesterday afternoon was the completion of Fall greens aeration here at Stow Acres. Although very relieved to have the process over with, it marks the start of an exciting Fall. Getting greens punched this early in the season will allow us to carry out more improvements on the facility than usual. 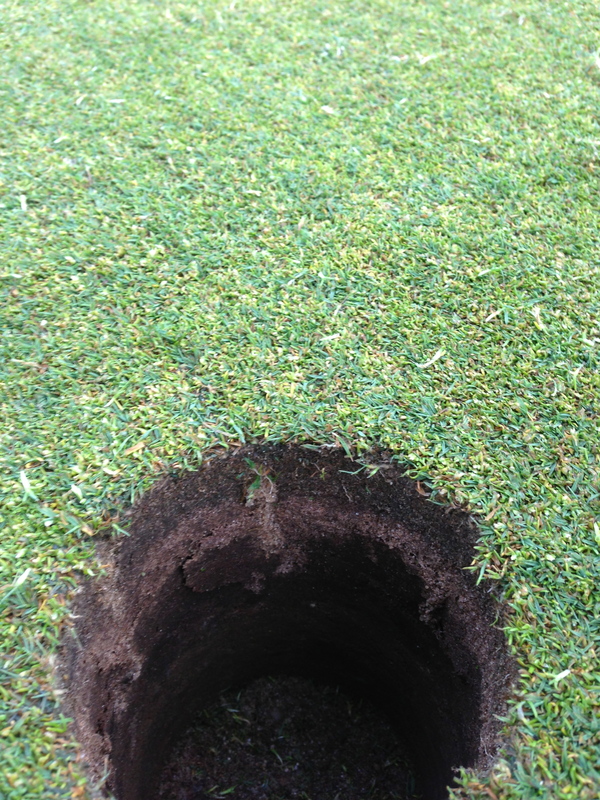 As a reminder, the North greens were aerated last week on Monday (August 26) and Tuesday (August 27). They are healed in and getting double cut today. 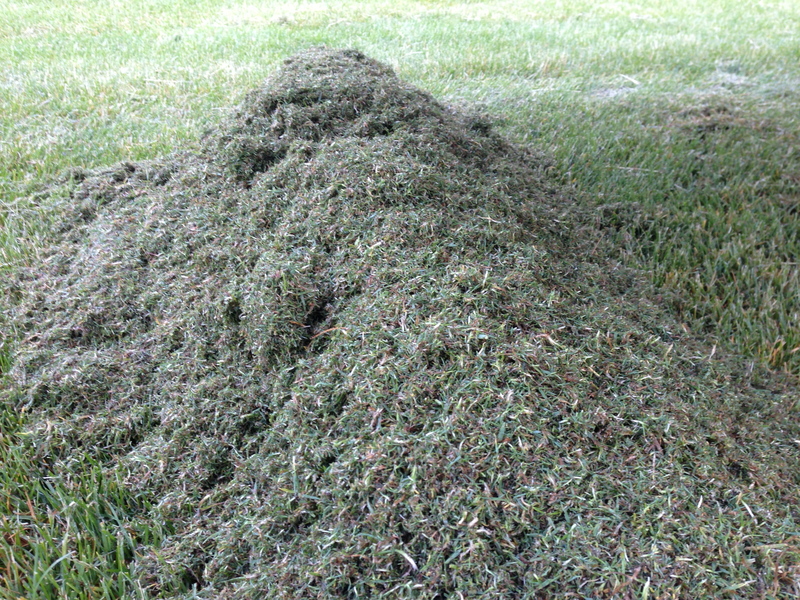 South greens and both practice greens were aerated Wednesday (September 4) and Thursday (September 5). I know some are questioning why we don’t aerate only one practice green at a time. The answer is quite simple in that both practice greens operate off of the South course irrigation. It is much easier to control them together with the same watering program than to split them up. With this current weather pattern, we are sure to have the South greens healed within a week. Thanks for your patience. I know I’ve posted this multiple times, but the procedure doesn’t really change. Click here for an in-depth look at the process. 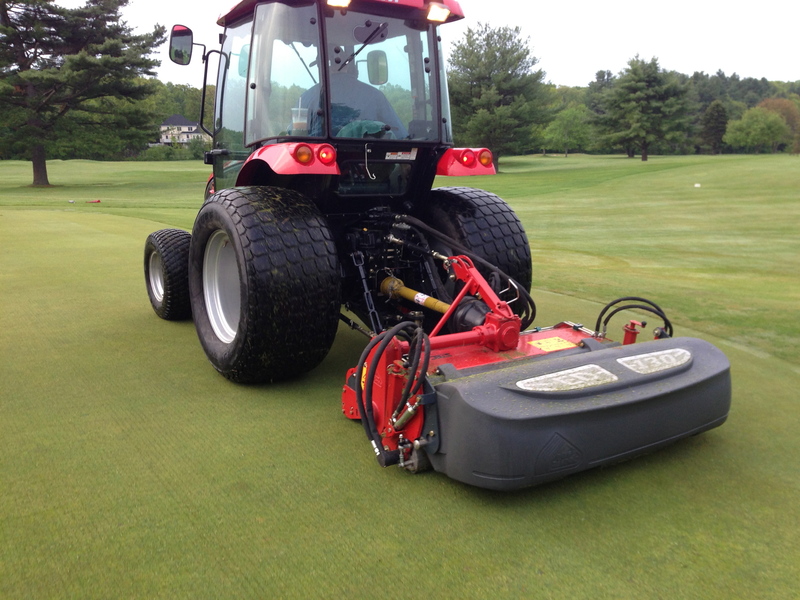 Featured below are some pictures from this Fall’s aeration. See you on the course! 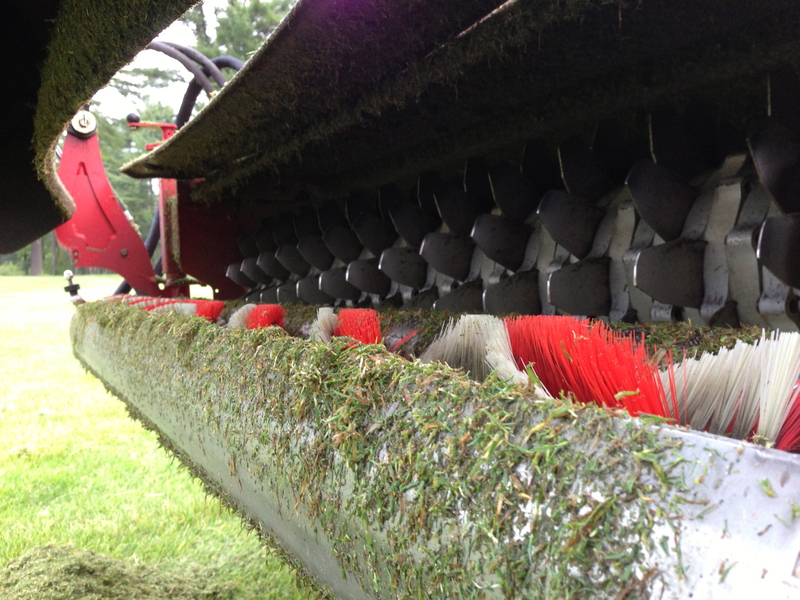 Categories: A Word from the Superintendent..., On the Course | Tags: aeration, golf, turf | Permalink. This morning, you may have seen the greens being sprayed and then immediately getting watered. This is an effort to treat the soil with a few different products. 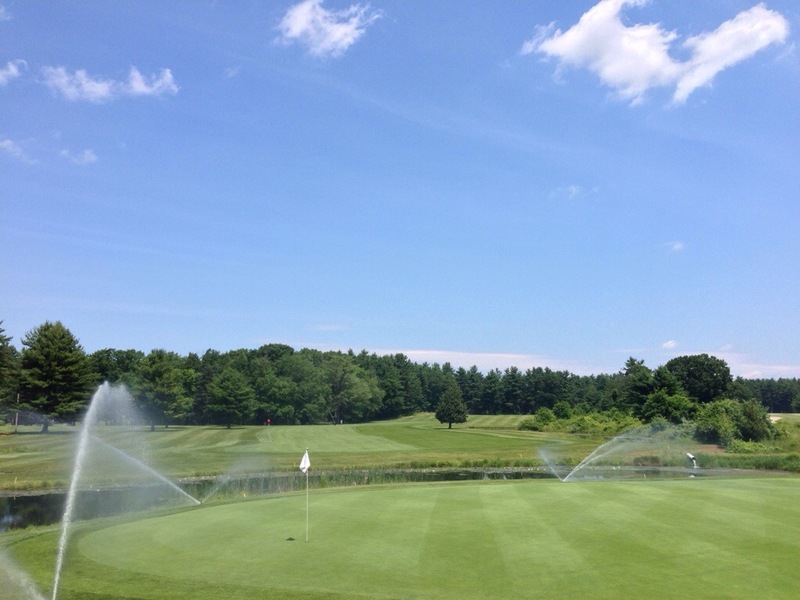 By watering the greens right after the spray, not only does it hydrate the plant, but helps move the necessary bio-stimulants, soil nutrients, and wetting agents down to the roots and into the soil profile. We try to stick to a schedule of once a month with the same spray ingredients, plus or minus some soil nutrients. This whole process allows the roots to be fed during the summer heat stress and it allows water to move off the surface and into the root zone. A phrase taken from a wise mentor, “Standing water heats, moving water cools.” This helps summarize the reason for today’s spray, even when the high will be in the low 90s. Stay cool and hydrated, I know my greens certainly will be! Categories: A Word from the Superintendent..., On the Course | Tags: soil fertility, summer, turf, wetting agents | Permalink.